Usually I don't lust after jewelry with natural rocks but lately they've been catching my eye. 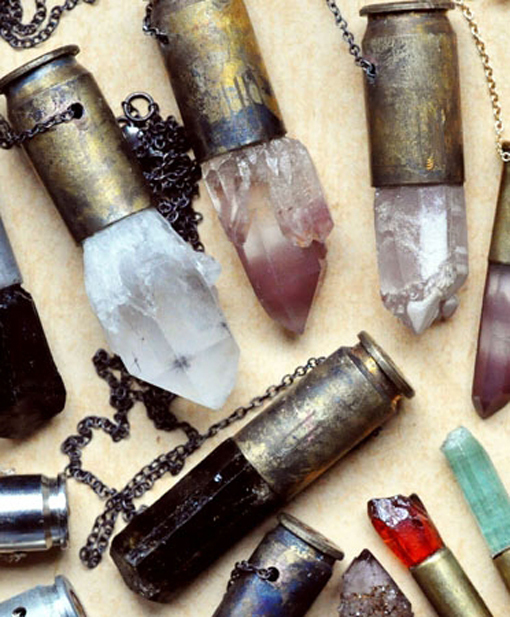 And I'm definitely in need of one of these Crystal Bullet Necklaces by Unearthen. The contrast between the manmade bullet and the natural form of the crystals is just stunning!